Today is Veteran's Day so go out and do something special for someone who was willing to give the ultimate price to protect and defend these United States of America! November is very important in the life of a premed student. Classes are drawing to an end and I know for many of you you're scrambling to either maintain a certain GPA or you're fighting to pass. I asked how you were doing academically and the verdict was not good. A lot of you are borderline and know the numbers need to come up in order for you to be competitive for medical school. Now, this isn't exactly the end of the world and there's hope for you. I've been in your shoes and know exactly what you're going through. It's tough, it's rough and definitely is very stressful. But how you're doing academically doesn't have to stay stagnant there's room for you to improve and come out on the winning side. Do you mind if I share a story with you? Okay, we're going to have to put all politics aside and this isn't about Republican or Democrat I want to tell you about Dr. Ben Carson. He's currently running for President of the United States of America but I'm focusing purely on his medical background. Young Carson finished up an undergrad career at Yale University and was now returning home to attend the University of Michigan medical school. Let's just say he was in for a rude awakening after his first set of exams. He was called into the Dean's Office who took one look at his grades and told him, "Mr. Carson, I am sure you're a very intelligent young man and there's a lot you can do outside of medicine but I don't think you're meant to be a doctor." Young Ben was crushed and the look on his eyes said it all. saw this and gave him an option, "How about you take half the courses and spread it over multiple years, it will take longer but you'll still have a chance at graduating?" Ben, left the Dean's office and had to consider what route to choose. Instead of following any of the advice offered he decided he was just as good as everyone else in medical school and he didn't need extra time. He would apply himself and study rigorously until he knew the material cold. Ben, started at the bottom and now he's at the top (insert Drake reference) of his medical school class, went on to become a world renown neurosurgeon at Johns Hopkins, separated conjoined twins and made more accomplishments in medicine than I can write or recall. The same can happen for you too. You just have to learn how to change your approach to studying and test-taking. It won't happen overnight but if you follow a proven system it can happen in your life. Because, I see a need where many of you don't have the numbers to be competitive for medical school. 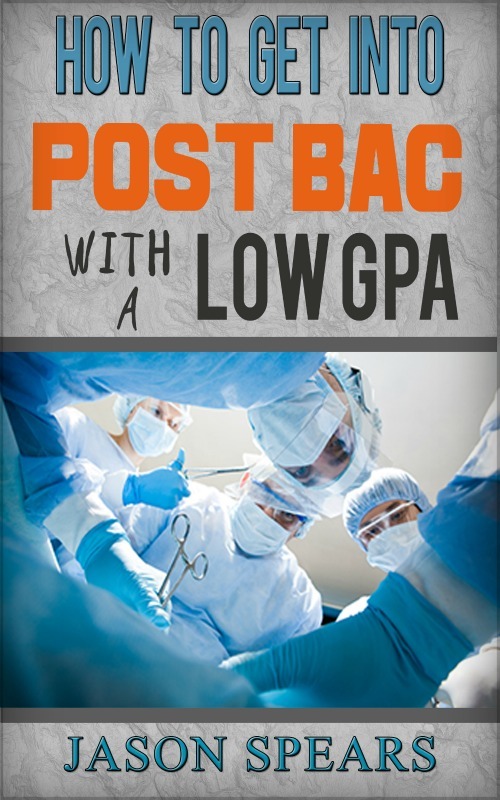 You're thinking a post bac will fix things. But guess what you still have to compete to get admitted and stay. This entails having a solid plan of action to follow. I'm prepared to unlock the tools of academic success. If you want in let me know how I can help you turn your academics around. Maybe you already know you're not competitive for medical school and it's not a matter of academics you were just immature and are ready for your second chance to prove you have the capabilities to excel in medical school. 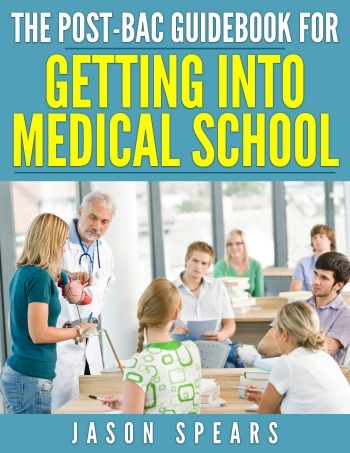 If this is you then you'll want to check out my Post Bac Guidebook for Getting Into Medical School, which I've discounted heavily it's 75% off when you act now.